A USCIS officer will conduct your naturalization interview in a private office or cubicle. The officer begins the interview by asking you to raise your right hand and swear to tell the truth during the interview. A significant portion of the naturalization interview surrounds a review of your Form N-400, Application for Naturalization. The USCIS officer will ask you several questions about your application and supporting documentation. In addition to confirming the information in the application, the officer is testing your ability to understand and reply in English. Therefore, spend an ample amount of time reviewing your own N-400 application and answers before you attend the interview. It’s probably been several months since you submitted the application. It’s easy to forget a few details. So be familiar with your own answers so that you’re comfortable answering. Further, make note of any events that may have affected your answers in the N-400 application. Near the beginning of your naturalization interview, it’s likely the USCIS officer will ask if there are any changes to your N-400 application. Be prepared to answer. In most cases, simple changes to your N-400 are not a problem. Normal changes in life circumstances can affect your answers. A new job, new child, or vacation abroad are typical life events that you need to update on the application. You will need to revise the application with the USCIS officer. As such, you will need to provide any relevant supporting documents that would normally be required. For example, if you have taken a trip outside the United States, bring a list of the exact dates and other information that the N-400 asks for regarding trips. Again, it’s important that you understand how these changes may or may not affect eligibility. 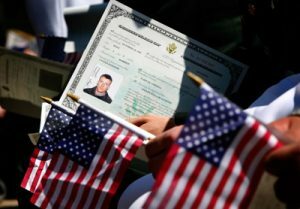 If you believe that these changes could affect your eligibility to become a U.S. citizen, contact an immigration attorney before attending the naturalization interview. For example, make sure that the trip abroad didn’t break your continuous residence or physical presence requirements. A divorce from the person who sponsored you for a green card, and you are applying on the basis of three years of marriage to that U.S. citizen. An arrest or anything that would cause you to change your answer to any of the “No” answers in Part 12 of the Form N-400. An absence from the United States for a period of six months or more. If any of the above situations affect you, contact an immigration attorney before going to the naturalization interview. After filing Form N-400, Application for Naturalization, keep a folder that contains a copy of your application, originals of all supporting documentation, and any communication you receive from U.S. Citizenship and Immigration Services. This early preparation will help you stay organized and prepared for the interview day. Take this folder to your interview. Start by reviewing your custom filing instructions from CitizenPath. Our instructions give you a simple list of items to take to the naturalization interview that has been customized based on your application. But make sure you have all items requested in the list provided by USCIS when they send your appointment notice. Take evidence of your current marital status. Examples of acceptable documents include a marriage certificate, divorce decree, annulment decree, or death certificate of former spouse. If you’re currently married, you must be able to prove that all of your previous marriages (if applicable) and your current spouse’s previous marriages have been terminated. Examples of acceptable documents include divorce decrees, annulment decrees or death certificates. If you filed Form N-400 on the basis of marriage to a U.S. citizen, you’ll need to prove that your spouse has been a U.S. citizen for at least three years and that you and your spouse lived in marital union for at least three years. In addition to the marriage certificate, take documents such as tax returns, lease agreements, bank statements, utility bills, car titles, insurance statements, and any other documents during the three-year period that help establish proof of your marital union. Take evidence that you have complied with your obligation to file an income tax return for at least the past five years (three years if filing on the basis of marriage to a U.S. citizen). Take copies of your complete tax returns or an IRS Tax Transcript listing tax information for the requisite years. You can obtain a free IRS Tax Transcript on the IRS website. Take evidence that all of the children listed on your naturalization application are your children. Examples of acceptable documents include birth certificates or adoption decrees. If you have dependent children living apart from you, take evidence to establish that you support each dependent child and that you have complied with child support obligations. An inability to prove this may lead to a denial of naturalization due to not meeting the good moral character requirement. Examples of acceptable documents include cancelled checks, money order receipts, a court or agency document showing child support payments, evidence of wage garnishments, or a letter from the parent or guardian of the child(ren). If your payment(s) of any Federal, State, or local taxes are overdue, take a signed agreement from that tax agency showing that you have arranged to pay the taxes you owe, and documentation from the same agency showing the current status of your payments. If you are a male who lived in the United States any time between your 18th and 26th birthdays, take proof that you registered for the Selective Service. (This does not include living in the U.S. as a lawful nonimmigrant.) Use the Selective Service Online Verification to generate a verification letter. If you have taken a trip(s) outside the United States for more than six months but less than one year, take documentation to establish that you maintained continuous residence in the U.S. during your absence. Failure to prove you maintained continuous residence may lead to a denial of your application. 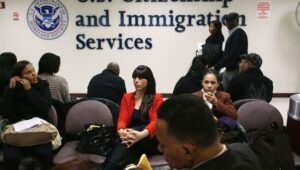 Examples of acceptable documents include documentation to show that you did not terminate employment in the U.S., did not obtain employment while abroad, your immediate family remained in the U.S., and/or you retained full access to your place of residence in the U.S. We also recommend that you speak to an immigration attorney before attending the interview. If you were ever arrested, detained, or convicted, you will need to take evidence of the disposition for each incident. We highly recommend that you speak to an immigration attorney to properly address this situation before attending the interview. 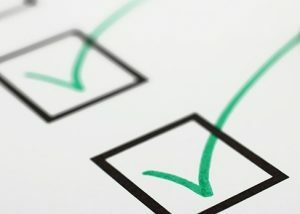 If you are filing under 319(b) of the INA, take evidence of your U.S. citizen spouse’s qualifying employment or contract abroad, such as an employment contract or travel orders, that include your name as a spouse, to establish that your spouse’s employment abroad is scheduled to last for at least one year from the date you filed your Form N-400. You must also take a written statement declaring your intent to reside abroad with your U.S. citizen spouse and to take up residence within the United States immediately after the termination of your citizen spouse’s employment abroad. If you have ever served in the U.S. military or are applying based on military service under sections 328 or 329 of the INA, take an original and certified Form N-426, Request for Certification of Military or Naval Service. If you are a veteran and were separated from the U.S. Armed Forces at the time of filing Form N-400, you may submit an uncertified Form N-426 only if you bring a photocopy of your DD Form 214 (or photocopies of multiple DD Form 214s) for all periods of service captured on Form N-426. National Guard members who file for naturalization after separation from service may submit NGB Form 22 in lieu of Form N-426. You do not need to offer any of the information listed above until asked by the USCIS officer conducting your naturalization interview. In many cases, the officer won’t even ask for some of these documents. If you have the information ready, you’ll avoid delays and be on your way to U.S. citizenship. Keep in mind, your English speaking ability will be evaluated from the moment the USCIS officer meets you. He or she will be observing your ability to follow simple instructions (such as, “Please remain standing,” when you are sworn in), and to answer questions. If you don’t understand a question, it’s okay to ask the officer to rephrase it. Guessing at the answer could just complicate matters. Instead, ask the officer to repeat the question using different words. The USCIS officer will also dictate a sentence and ask you to write it in English. Prepare for this portion of the interview by reviewing the vocabulary words on USCIS.gov or How to Prepare for the U.S. Citizenship Test and Interview. The officer will also give you a U.S. history/civics test in English (to test your knowledge and understanding of U.S. history and government). Even if exempt from the English test, you will need to take the civics test in the language of your choice or qualify for a waiver. There are 100 possible civics questions. At the naturalization interview, the officer will ask up to 10 questions from the list of 100 questions in English. You must answer at least six of the 10 questions correctly in order to pass the U.S. civics test. Several FREE study tools are available to help you prepare for the history/civics portion of the test. However, if you are unable to answer six out of 10 questions correctly, the naturalization interview will stop. USCIS will reschedule a appointment to re-take the test on another day (within the next 90 days). By the end of the naturalization interview, there’s a good chance you’ll know if you’re headed for the oath ceremony. 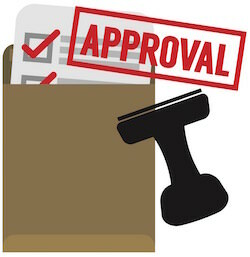 If everything goes well in the interview, the USCIS officer will likely tell you that he/she is approving the application. He/she may also hand you a piece of paper containing information about your oath ceremony. In some cases, the USCIS officer cannot make a decision after the naturalization interview. The final decision could require the assistance of a supervisor or perhaps USCIS requires additional evidence which you did not have available at your interview. In the event that USCIS denies your application, they will provide the reasons for the denial. You may choose to appeal or file a new application. Before submitting a new N-400, take the time to understand the reason for the denial so that it’s not repeated again.